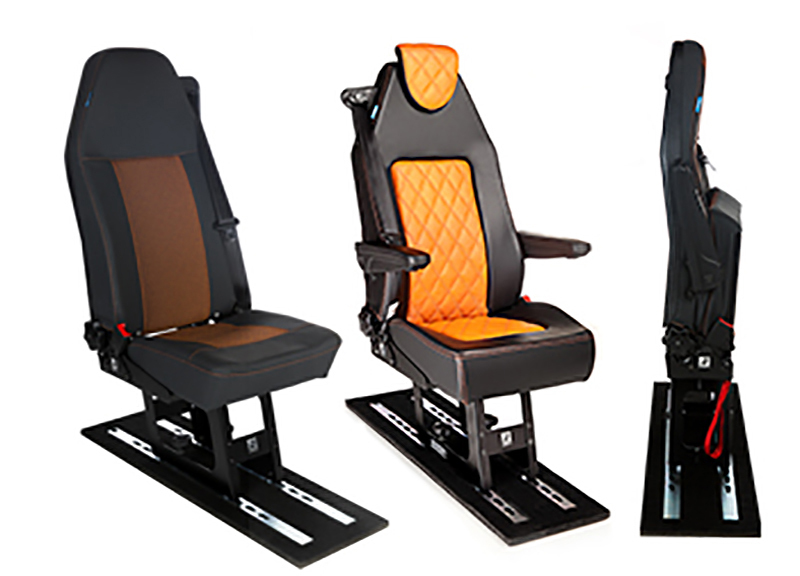 Driver Seats, Passenger Seats, Office Chairs / 24h Chairs | Be-Ge Seating Division – The Be-Ge Seating Division develops, manufactures, markets and sells fixed and suspended driver seats, passenger seats and accessories. The products are designed in accordance with our core values Safety, Quality, Ergonomics and Comfort. Be-Ge is the world’s oldest manufacturer of adjustable driver seats. Be-Ge Seating Division produces driver and passenger seats, office and 24h chairs. The seats are developed, manufactured and marketed by the Be-Ge Seating Division with operations in Sweden, Denmark, The Netherlands, Germany, Belgium, United Kingdom and France. Be-Ge develops manufactures and markets office and 24h chairs and accessories. The products are marketed under the brands BE-GE, Sverigestolen and UllmanStolen. The Scandinavian designs are based on techniques and knowledge from our experience of our driver seat development. Be-Ge develops, manufactures and markets passenger seats with integrated safety belts and floor track systems under the JANY brand. Jany “Seats for life” products are developed and tested to the highest safety requirements in our own laboratory accordance with the latest EU standards, with approvals for the most common M1 vehicles in Europe. For medium and heavy commercial vehicles we develop and manufacture passenger seats to customers on contractual basis in close cooperation with the customer. With module based product assortment, wide and solid knowledge, and a complete in-house process to develop customer adapted solutions we are a supplier who can take on most challenges. Be-Ge offers a wide range of accessories and works closely with leading suppliers of accessories and peripheral equipment for individual seat customization. Driver and Passenger seats need service and maintenance as well as the vehicle. With our skilled and experienced personnel, Be-Ge Seating Division offers service and spare parts of your seat. Through the use of original spare parts and efficient service, the seat will be guaranteed a long service life. Your nearest dealer or contact you will find under the catalog “dealers”. Click here to go to our Repair and Maintenance.